Helios & Matheson, the parent company of MoviePass, announced in a public filing on Tuesday that it is canceling a shareholder vote for a second stock split, warning that it faces delisting from Nasdaq if its stock value remains below one dollar. In the filing, Helios said that the company “does not expect to have the requisite stockholder votes” to approve a reverse stock split, which would have been set at a range between 1-for-2 shares and 1-for-500 shares. Helios shareholders had previously approved a reverse split in July, briefly raising the stock’s value as high as $22.50 a share. But the stock price quickly dropped and is currently valued at two cents a share. Helios also warned in its filing that it could be delisted from Nasdaq as early as Dec. 18 if its stock price does not rise above one dollar and requests for a deadline extension are denied. Helios & Matheson purchased the subscription ticket service MoviePass in August 2017, announcing on the same day of the purchase that they would offer a movie ticket per day to subscribers for just $9.95 per month. Helios’ stock peaked in October 2017 at $5,100/share, but dropped below a dollar over the course of 2018 as MoviePass made multiple changes to its model, including removing major releases like “Mission: Impossible — Fallout” entirely from its ticket purchasing app. And as the competition increases, Helios & Matheson faces an investigation by the New York Attorney General’s office, which is investigating claims that the company misled investors. Helios & Matheson was accused in August of defrauding shareholders with misleading information about the company’s financial standing according to a lawsuit filed by Jeffrey Braxton against CEO Ted Farnsworth and CFO Stuart Benson. Later that same month, Helios & Matheson board member Carl J. Schramm resigned from his seat, saying that the ticketing company withheld important financial information and made influential decisions without the board’s input. 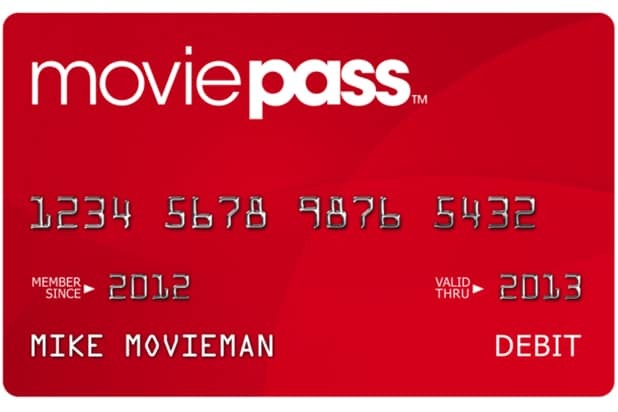 Despite this, Helios & Matheson has moved forward with its MoviePass plans, announcing its intention to split the service off as a separate company last month. That includes both the subscription service and its fledgling film production division, MoviePass Films — which was developed after the company bought an ownership stake in Emmett Furla Oasis Films — and its movie acquisition company, MoviePass Ventures. “We believe this new vertically integrated entertainment ecosystem, if achieved, would provide a sharper market focus, and that the combination of these four business lines under the MoviePass Entertainment umbrella would produce substantial synergies that we believe will generate value for our shareholders, subscribers, and business partners,” Helios CEO Ted Farnsworth said in a statement announcing the planned spinoff. Even though Disney is currently the king of the box office, they aren't immune from a big misfire. 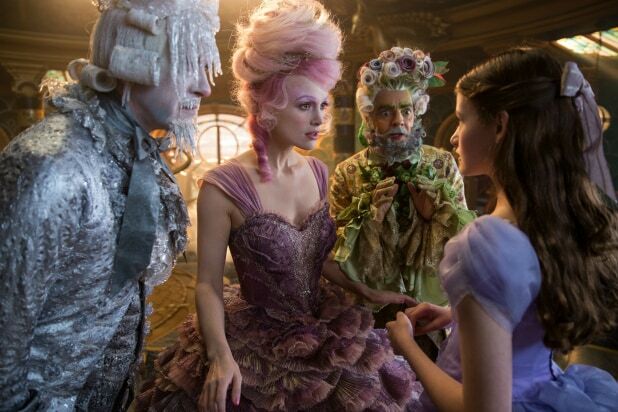 With a $130 million budget and a $20 million opening "Nutcracker and the Four Realms" is shaping up to be one of 2018's biggest bombs. But will it be as infamous as some of these all-time flops? "Ishtar" (1987) -- With reports of a rocky production and a budget that got way out of hand, critics and the Hollywood trades savaged Elaine May's adventure comedy starring Warren Beatty and Dustin Hoffman as it made just $14 million. For years, it was considered one of the worst films ever made, but is now considered by some to be a stealth success. "47 Ronin" (2013) -- Though Keanu Reeves was on his game in the action scenes, this Japanese fantasy was panned for its story and cost Universal big, as it failed to make back its $175 million budget. "Cutthroat Island" (1995) -- Geena Davis, still hot from "Thelma & Louise," found her star diminished by this infamous pirate comedy that only made $10 million against a $98 million budget. The script, cast and footage were repeatedly overhauled, and this bomb convinced Hollywood that pirate movies were poison... until "Pirates of the Caribbean" came around eight years later. "The Black Cauldron" (1985) -- Known in animation history as the movie that nearly bankrupted Disney. With a then-animation record $44 million budget and Disney's first ever PG rating, it was a big risk for Disney that failed to pay off with just $21 million grossed. Fortunately, Disney held on and went on to kick off their Renaissance with "The Little Mermaid" four years later. "Treasure Planet" (2002) -- On the other end of the Disney Renaissance was this labour of love from longtime Disney animators Ron Clements and John Musker. Sadly, this $140 million film supplanted "Black Cauldron" as Disney's biggest flop with just $110 million grossed, as families turned out to see "Harry Potter" instead. Still, the film has earned a cult following among Disney buffs. "Ballistic: Ecks vs. Sever" (2002) -- Two months before "Treasure Planet" came this $70 million action film about dueling spies (Antonio Banderas and Lucy Liu) that only made $14 million. But unlike "Treasure Planet," it was... and still is ...known as one of the worst movies ever made. "The Adventures of Pluto Nash" (2002) -- Wow, 2002 had a lot of really bad bombs, didn't it? Eddie Murphy appears on this list thanks to a $100 million sci-fi comedy that only made $7 million and cost Warner Bros. $131 million. Fortunately for WB, the "Harry Potter" films easily bailed them out. "Gigli" (2003) -- One of the most infamous movies ever made, one which launched 10 thousand tabloid articles. With a $75 million budget and just $7 million grossed, it was an albatross around Ben Affleck's neck until he won the Best Picture Oscar for "Argo" in 2012. "Waterworld" (1995) -- Maybe not one of the biggest flops, but certainly one of the most well-known. With a much-publicized troubled production which saw Kevin Costner take over as director, what was supposed to be a tentpole release for Universal ended up only making $262 million against an inflated $175 million budget that, at the time, made it one of the most expensive productions in Hollywood history. "Heaven's Gate" (1980) -- This is the big one. A film that bombed so hard with just $3.5 million grossed that it led to the bankruptcy of one of Hollywood's most well-known studios, United Artists, and destroyed director Michael Cimino's reputation. But time has been kind to Cimino and "Heaven's Gate," with critics praising the film years later with an extended director's cut being hailed as a masterwork.